The 3x4.5 provides a good space of 13.5m2 of floor space, they are very versatile, easy to put up and transport and made to a high standard with a durable powder coated steel framework and heavy duty waterproof fabric. One of our best sellers due to pricing, size and build quality. 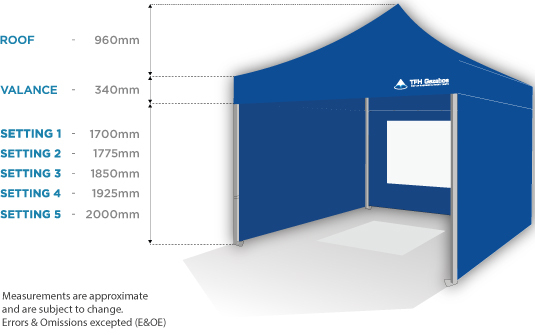 These 3m x 4.5m Pop Up Gazebos are very popular, and widely used for Shows & Events, BBQ's, Boot Fayres, Emergency Services, Motorsport, Food & Drink Catering, Hog Roast & Promotional Trade Stands.